The next star of Aladdin or The Lion King may have been discovered Saturday during auditions at the Oriental Theatre in Chicago. CHICAGO (WLS) -- The next star of Aladdin or The Lion King may have been discovered Saturday during auditions at the Oriental Theatre in Chicago. 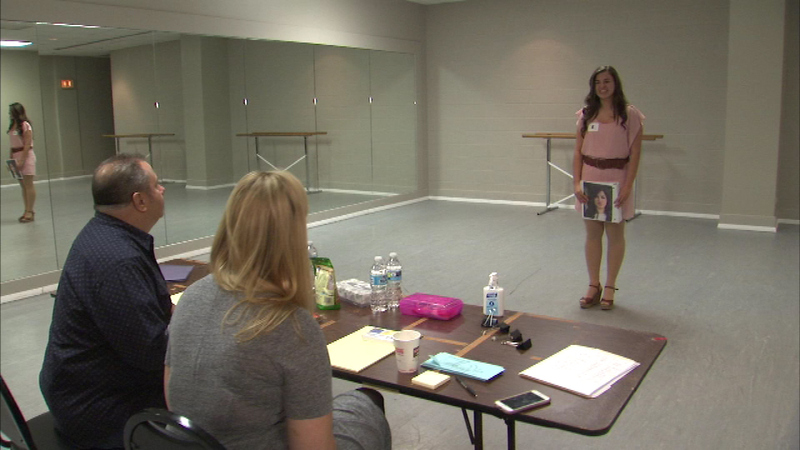 Performers lined up for their chance to dazzle the casting directors looking for actors, singers and dancers to appear in upcoming theatrical productions. "I think it's every little girl's dream to be Jasmine or a Disney princess of some sort," said Alicia Reve. "You know what, I could be a blade of grass at this point," said Katelyn Bowman. "I just to be a part of it, that's all I can ask for at this point." Auditions will also be held in several other cities but Chicago was the first stop. Both Aladdin and the Lion King are produced by Disney, the parent company of ABC7.